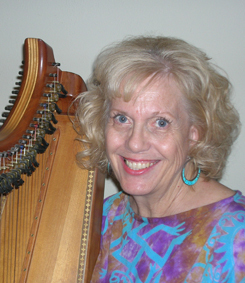 Michele is active in the music community with the Celtic Harp. She is the facilitator for Celtic Singers of NM, a singing group that strives to keep the ancient songs and culture alive by singing in Gaelic, Gaidhlig, Welsh, and Manx. But this music is her “retirement” fun, as she is a retired Special Education teacher with Albuquerque Public Schools. Michele taught behavior disordered students of all ages in both public and correctional settings, and has written an unpublished manuscript of strategies for new teachers titled “Stayin’ Alive in Special Education.” Michele lives in Albuquerque with her husband Tom, who built the harp she plays. Michele plays for Veterans Rehabilitation and other hospital settings, as well as any special occasion. History, both legend and myth, forms the basis for my writing. What is true, and what we believe to be true has an impact on our behavior. I am interested in how Pagan beliefs form the foundation of modern customs and religions. 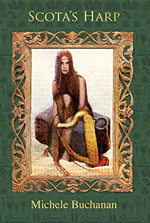 According to Celtic Legend, a warrior princess named Scott came from Egypt and claimed Ireland for her son Ir. From Ireland, her descendants called the “Scottii” invaded more land and named it Scotland. Though this story is not widely accepted, the truth is found in their names, their language, and their courageous fight to keep their culture alive, and will be revealed the day the Stone of Scone breaks its silence.